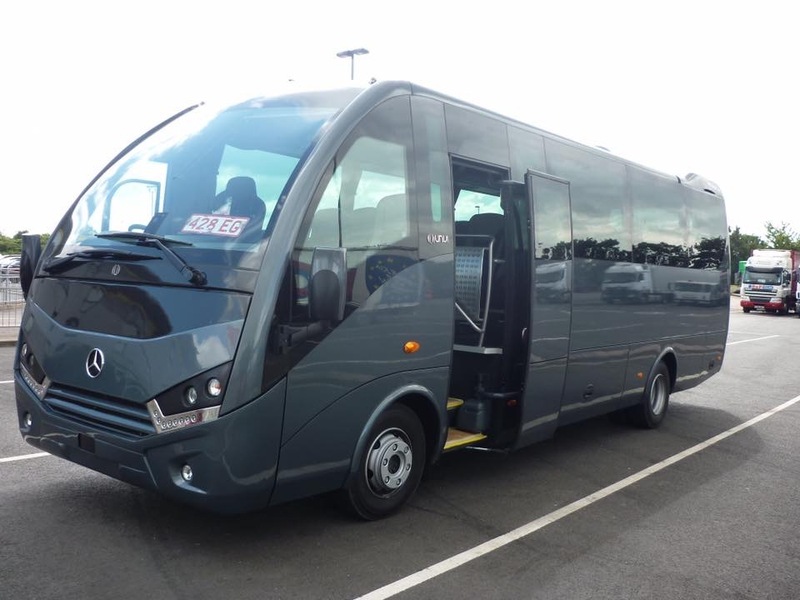 Issarcoaches is a family run business based near Heathrow. Issarcoaches currently holds a International licence. "Every thing was excellent.Will use again"
"""Dear Sir, First of all I would like to take this opportunity to thank you for your valuable business. We at Issar Coaches try our best to ensure that all our guest are looked after and satisfied. We are pleased that on this occasion we were again successful. We would like to thank you on behalf of our company for your feedback and look forward to hearing from you soon. Regards""
"The journey went so well. The bus was on time, back and forth. It was so convenient as I could get in contact with the driver directly. Plus, the bus was so clean. 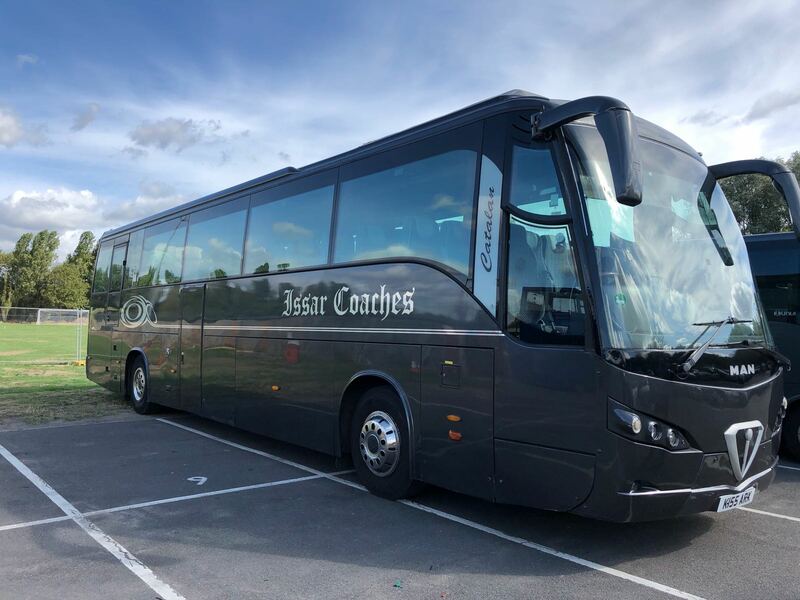 I would definitely use Issar Coaches for future events"
""Dear Sir, First of all I would like to take this opportunity to thank you for your valuable business. We at Issar Coaches try our best to ensure that all our guest are looked after and satisfied. We are pleased that on this occasion we were again successful. We would like to thank you on behalf of our company for your feedback and look forward to hearing from you soon. Regards"""
"Driver came on time prepared. Thanks to our driver Mohammed who was very friendly, helpful and professional. Would book future tours with Isaar." "Dear Sir, First of all I would like to take this opportunity to thank you for your valuable business. We at Issar Coaches try our best to ensure that all our guest are looked after and satisfied. We are pleased that on this occasion we were again successful. We would like to thank you on behalf of our company for your feedback and look forward to hearing from you soon. Regards""
"Easy to transact with. In our experience, they are trustworthy. Best of all, cheap price." "Dear Sir, First of all I would like to take this opportunity to thank you for your valuable business. We at Issar Coaches try our best to ensure that all our guest are looked after and satisfied. We are pleased that on this occasion we were again successful. We would like to thank you on behalf of our company for your feedback and look forward to hearing from you soon. Regards"
"Went terribly. The driver was very late, very rude and delayed my wedding by an hour. He did not check traffic and road closures and arrived for pick up an hour late. He ignored our calls and refused to tell us what his eta was." "JOURNEY WAS GREAT WITH A COMFORT BREAK GIVEN. THE DRIVER WAS EXTREMELY HELPFUL IN ALL ASPECTS. ONLY PROBLEM WAS THAT THE TOILET WAS NOT IN USE. WOULD BE GOOD IF THERE WAS A COUPLE OF DVD'S FOR CHILDREN DUE TO LENGTH OF JOURNEY BUT OVERALL EXPERIENCE WAS BRILLIANT." "Very professional outfit, clean and modern coach, arrived at pick up locations early so that we didn't have to wait around. I would definitely use them again."